Waxen-Rocket Richard was 15 pounds lighter than the real article, and he didn’t have enough hair. That’s what the flesh-and-blood Richard noticed when he showed up, above, in March of 1965 to visit his doppelgänger at Montreal’s new Ville Marie Wax Museum a month before it opened. “It scares me a little,” said the Rocket and, well, yes. 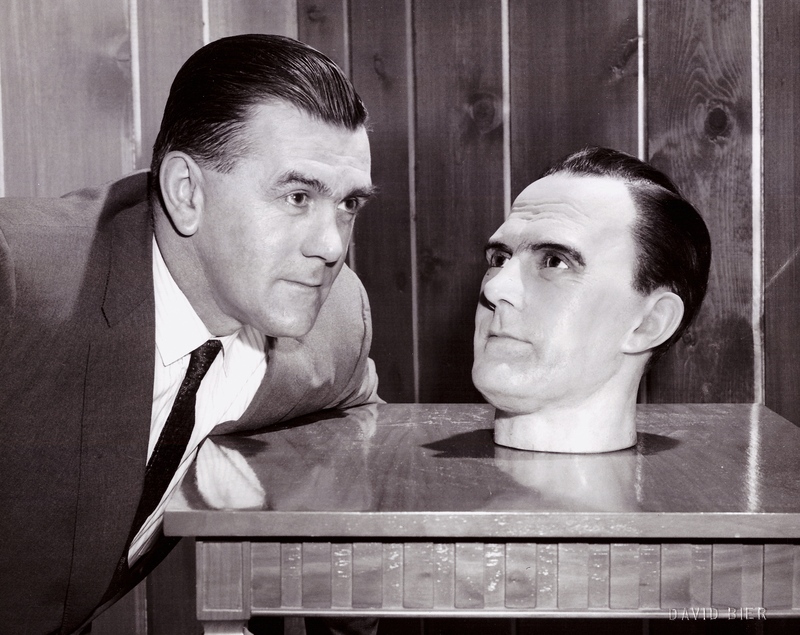 I mean, the man’s head was working independent from its facsimile body — they hadn’t attached the two yet — plus Richard found that the birthmark on his actual chin had migrated on his double to the cheek. Fortunately, artists named Winifred Mills and Margaret Brody were on hand in Montreal to correct the errors. They worked for Madame Tussauds in London, the famous waxworks, which had decided that the time had come to open up a franchise in Montreal. Richard’s display commemorated the occasion of his 500th NHL goal, scored on Chicago’s Glenn Hall on October 19th, 1957. Others featured Abraham Lincoln (his assassination), Jesus (the Last Supper), Joan of Arc (at the stake), and Brigitte Bardot (taking a shower). It had been crafted in England, from photographs. In Montreal, Mses. Mills and Brody took the opportunity of meeting the real-Rocket to add more hair to the dummy, and to relocate the birthmark chinward. Local newspapermen noted that in wax, the Rocket maintained his NHL playing weight, 185 pounds, rather than 200 he was currently carrying as a former NHLer. 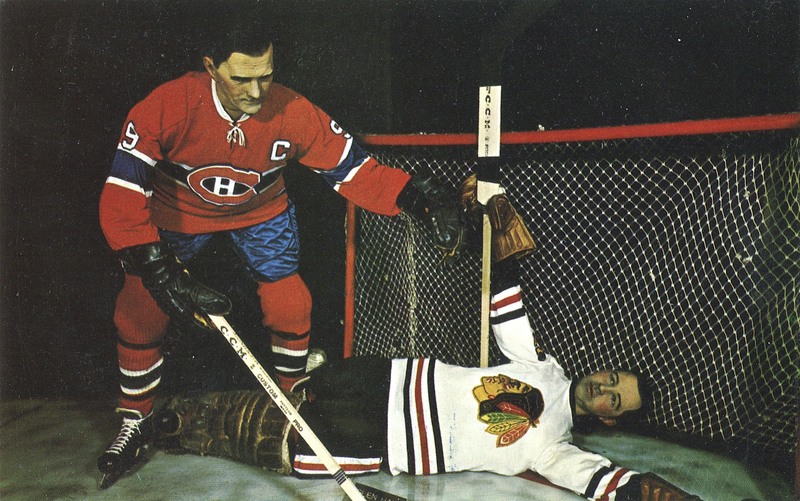 The uniform he’d be wearing in the museum, equipment and skates, too, were authentic enough: the man himself had donated the garb he’d been wearing the year he’d retired from the Canadiens in 1960. Is it worth adding what people stole once the wax museum opened? I’m not sure; probably not. But just in case: Christ’s sandals often went missing, along with Lee Harvey Oswald’s handcuffs (he was in there, too) and (regularly) the towel that Bardot was wearing in the shower. And in 1968, Bardot herself disappeared. Curator Blake Lilly was stunned; towels were one thing, but “to lose the whole thing,” he said, “is unbelievable.” He called the police and posted a $100 reward leading to Bardot’s return. The culprits were soon revealed: students from the University of Montreal had, it turned out, kidnapped her. It was carnival time in Montreal, and students were out competitively swiping stuff for pranks. That same day they also absconded with one of the Canadian Army’s armoured cars; a cow named Judy LaVache; and the Lieutenant-Governor’s throne from Quebec’s Legislative Assembly. 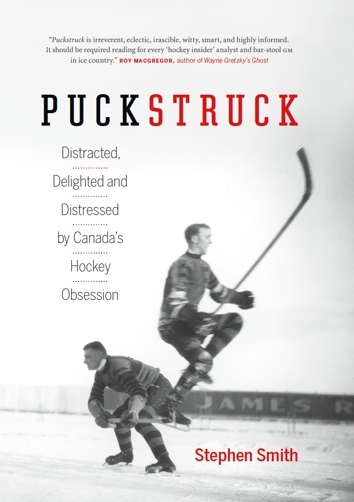 Just like this: Montreal’s waxy reproduction of Rocket Richard scoring his 500th NHL goal on Glenn Hall on October 19, 1957.